Prospective students and their families are invited to experience Buffalo State’s diverse and creative environment during the college’s Fall Open House, Saturday, October 21, from 9:00 a.m. to 1:00 p.m.
View the full Open House schedule (PDF, 4.5 MB). Open House attendees will check in at Rockwell Hall at 9:00 a.m., attend a welcome program in the Performing Art Center at Rockwell Hall from 9:15 to 9:45 a.m., and then have the opportunity to learn more about academic departments, student services, and student clubs/organizations at information tables in the Campbell Student Union from 10:00 a.m. to 12:30 p.m. Various tours begin at 10:00 a.m.—student ambassadors will lead walking tours of campus every 10 minutes; ongoing tours of the college’s E. H. Butler library and residence halls will be offered; and narrated bus tours of Buffalo’s cultural corridor leave campus every half hour. Admissions representatives will offer presentations on the First-Year and Transfer admissions processes at 10:00 a.m., 11:00 a.m., and noon and Financial Aid representatives will offer presentations on the Financial Aid Process at 10:00 a.m. and 11:00 a.m.
Those looking to experience a slice of campus life can visit the Burchfield Penney Art Center at Buffalo State (a docent-led tour will be held at 2:00 p.m.) or catch an athletic event. The women’s volleyball team hosts Brockport at noon and Potsdam at 2:30 p.m. at Houston Gymnasium, while the men’s soccer team hosts New Paltz at 1:00 p.m. on Coyer Field. Students and family members planning to attend the Fall Open House should register online or call (716) 878-4017.  Buffalo State located in Buffalo, New York’s Elmwood Village, offers degrees in the arts, education, the sciences, and professional studies. 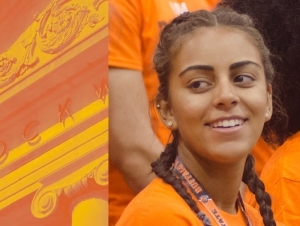 Each year, nearly 10,000 students choose Buffalo State for its broad array of high-quality and distinctive academic programs, diverse and creative environment, hands-on learning opportunities, affordable SUNY tuition, and location in the heart of Buffalo’s cultural corridor.